ExoCream® is best applied when the skin is moist and should ideally be applied to the skin at least three or four times a day or as often as recommended by a healthcare professional to keep the skin well moisturised and in good condition. In particular, it is a good idea to regularly apply to the hands because they are exposed to the elements more than any other part of the body. ExoCream® should be applied liberally to the affected area then smoothed into the skin along the line of hair growth, rather than rubbing it in. 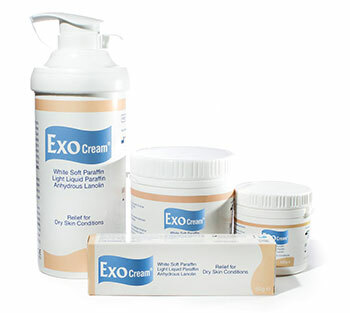 Patients may also want to use ExoCream® after washing their hands, having a bath or taking a shower. Advise patents that when bathing they should use warm not hot water and to avoid staying in the bath too long as this can make dry skin conditions worse.